The Stamina 1050 rowing machine is an entry-level model that can be used for low impact aerobic workouts and help strength the back, arms, abs, and lower body. The monitor tracks your workout time, stroke count during current workout, and total strokes. You can press the menu button and choose the scan mode so that data for each readout is displayed for a few seconds before rotating to the next one. Check out the popular Stamina 1050 Rowing Machine on Sale Now! The Stamina Body Trac Glider is built on a steel frame with an aluminum center beam. It has a smooth ball bearing roller system, a padded molded seat, and a set of rowing arms attached to hydraulic pistols. It has adjustable settings for resistance so that you can dial it higher as you continue exercising and get stronger. 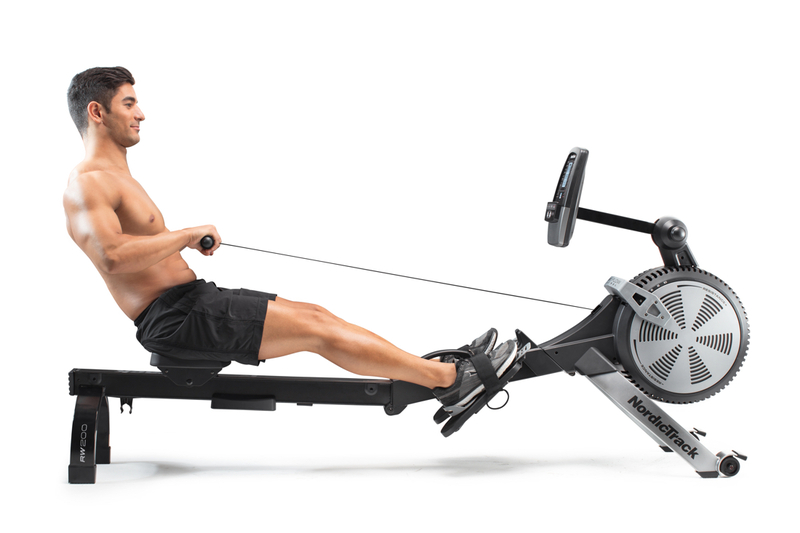 The arms fold so that the rower can be easily stored. The unit weighs just 39 pounds. 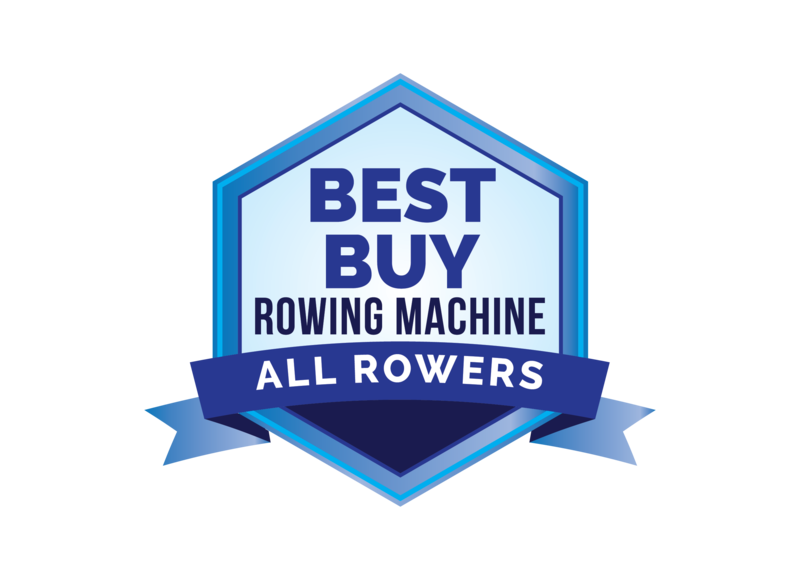 The reviews by users of the Stamina 1050 rowing machine are fairly favorable despite a number of cheap parts used, and many comments mentioning that fact. It is a nice machine for the price, overall, and it will work okay with light use. It will be quiet during the first few months but eventually you should expect some squeaks and clunking sounds that are common in hydraulic rowers. As for those cheap parts we mentioned, several users have reported that their model broke at the weld of the arm to the frame as well as near the shock attachment. 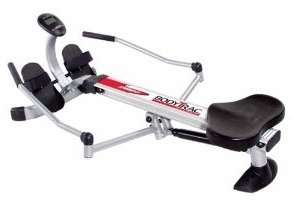 The Stamina 1050 rowing machine is advertised by Stamina as a Body Trac Glider. It will work (for a while) and provide enough resistance to give your muscles a workout. However, we recommend you consider buying a real bodyweight glider, such as the Total Body Trainer. It is better built, has more features, incline options, a cable and pulley system, and because there are no hydraulic pistons, it should last for years with no problems.